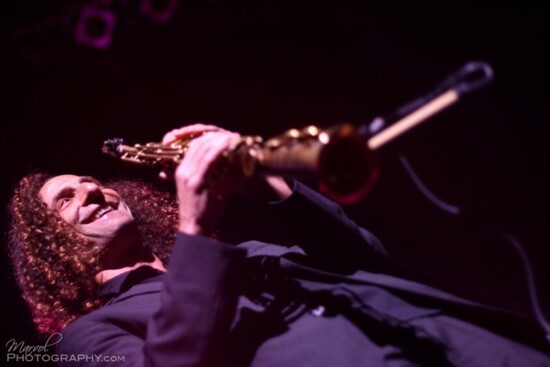 Kenny G was at the Paramount last night and Marcella Volpintesta reports back with her brilliant photos and some details from the show. 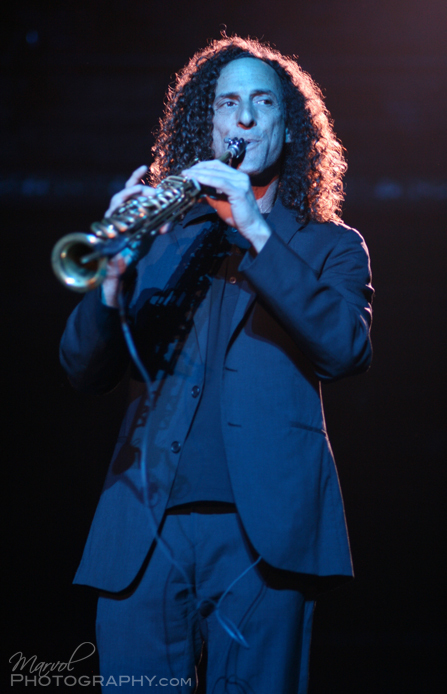 Kenny G, a saxophonist and native Seattleite, is a Grammy winner and recently performed with Weezer. 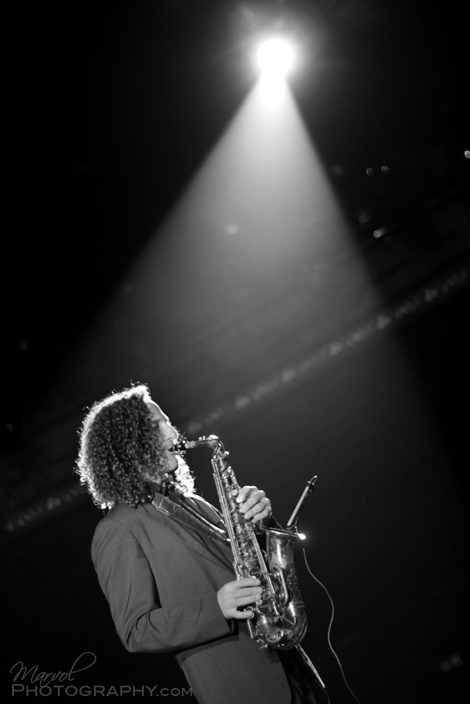 At the beginning of the show, Kenny G entered from the back of the Paramount and walked around high-fiving and shaking people’s hands. 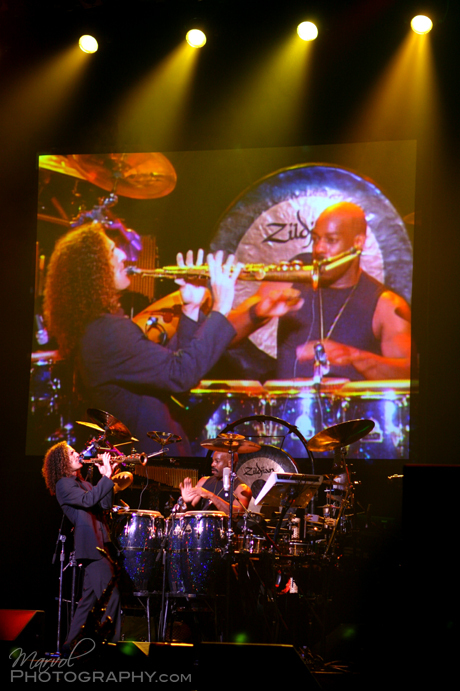 Members of Kenny G’s family attended the show. 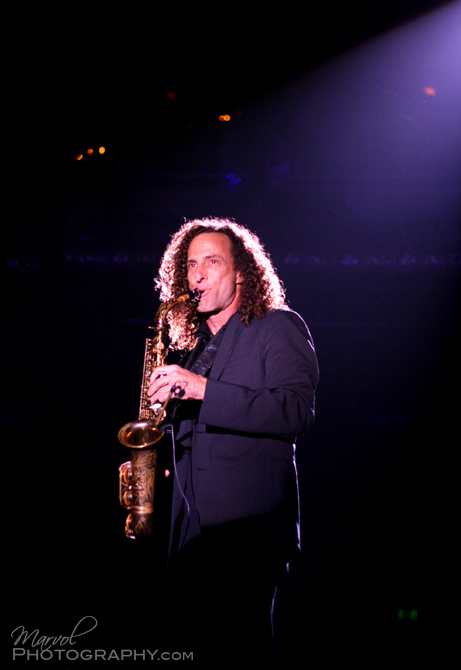 Kenny G raffled off a sax it took many years for him to develop. 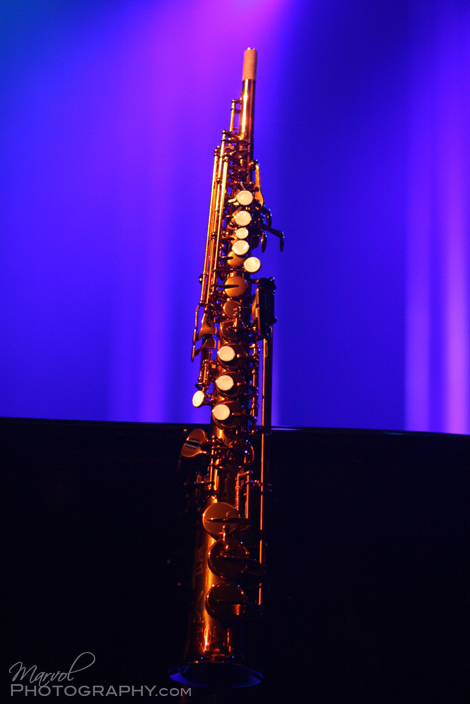 This is the sax. 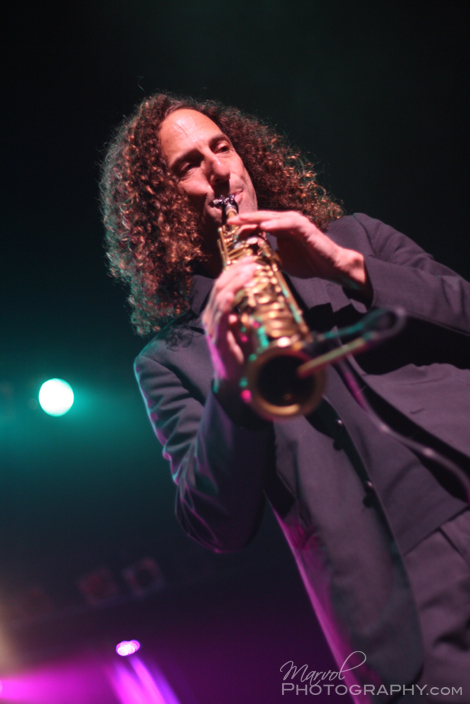 Kenny G played for about 3 hours. 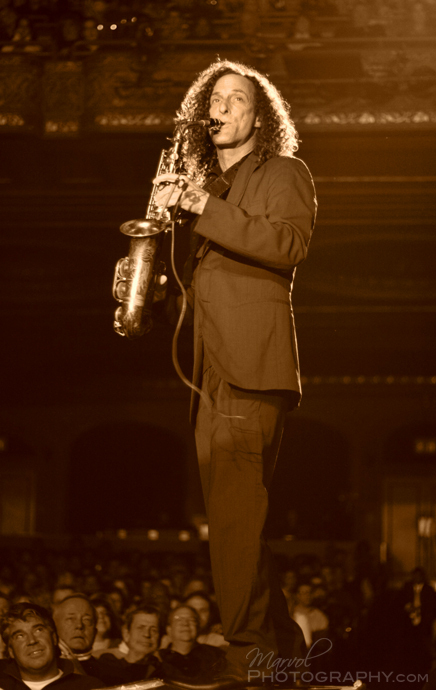 The sax he was playing is his very first sax – he used it at Franklin High School. 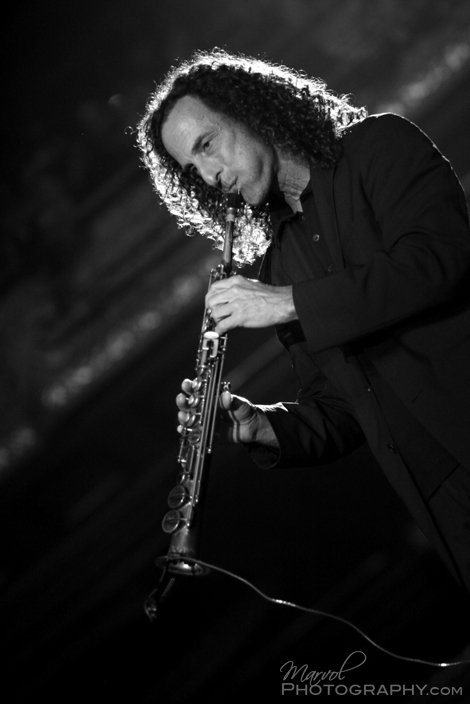 Kenny G’s high school friend played piano. 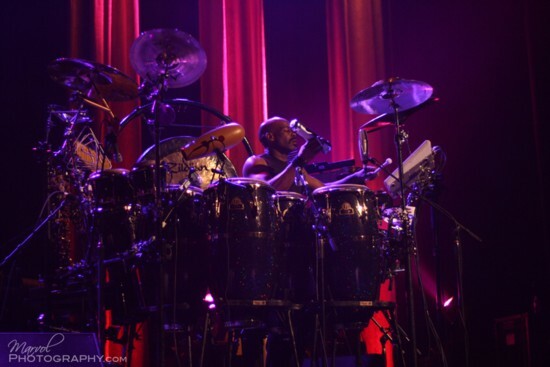 There was no opener for the show.